Remove iBoostUp from Mac: Is There a Way to Make a Long Story Short? iBoostup for Mac is another great cleaner and duplicate detector to make an average Mac run faster thanks to the system optimization. It is free of charge, easy-to-use, and pretty quick. However, from time to time, the users decide to replace some apps with the advanced analogs. Also, as the time passes by, you may find an app like that unnecessary for your system. Just like any other software, it occupies some space. Thus, it makes sense to delete it. 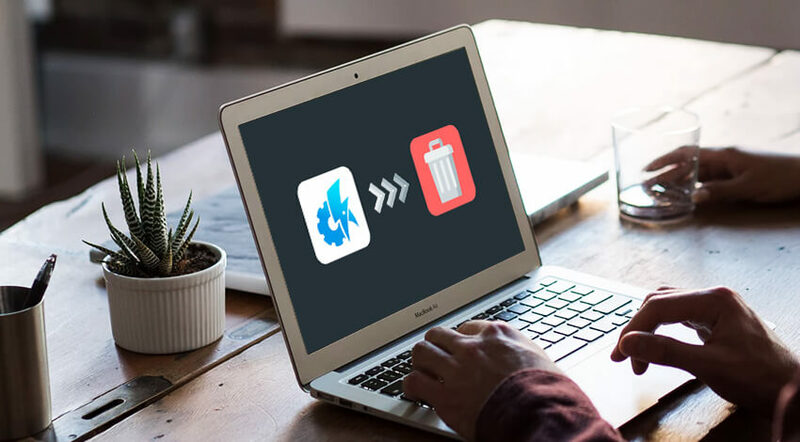 Once you decide to get rid of the application, the good news is that Mac users find it far less complicated to toss away the third-party software. Most of the external tools for Mac possess built-in uninstallers that ease and speed up the process of removal. A user usually does not have to do anything manually unless he or she wants to make sure the application is completely gone along with all associated processes and other leftovers. While it is enough to drag the icon of the desired app to the Application folder to have it set up on the Apple computer, it is not enough to do the same with the Trash when trying to delete the app. Well, if you plan to restore the software one day, you may throw it into the Trash and leave the rest of the associated files. So, as it was mentioned above, it is not enough to place an unwanted application into Trash to delete it completely. The experts call everything left after such type of removal procedure the leftovers. To toss them away as well, two popular methods exist. The article explores the manual approach first as it does not require any additional installations. However, mind that Mac’s built-in utilities may take a while to delete a third-party app fully. Besides, manual methods might seem a bit tricky for the new users. The system might refuse to delete the app, which is currently in operation. So, check whether all items related to iBoostup are stopped. You may notice that some of them are frozen or crashed – just push Command plus Option + Escape buttons altogether. Choose iBoostup in the pop-up window then. Select Force Quit to finish the associated processes. Please keep in mind that this combination of keys is fine for the software that appears but does not work for the hidden procedures). Pick All Processes from the drop-down menu. Mark all the processes related to the target application à Quit Process. Choose Quit in the pop-up window. If the system refuses, make it with the Force Quit option. 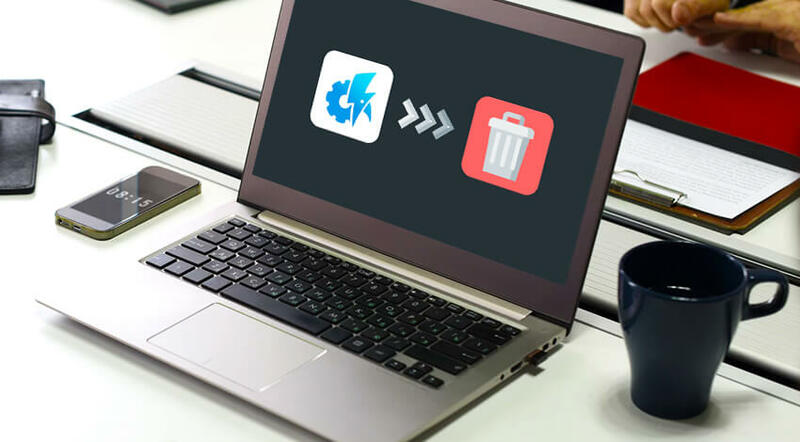 Trash is the most popular utility for deleting items on Mac. However, it has its disadvantages when it comes to removing applications and games. Mind that various installation files and temporary files may stay even once you apply this method. Thus, there are few more things a user should do to complete the uninstallation. Log in to the operating system using an admin’s account (otherwise, a person may have to enter a password when attempting to get rid of something). Launch Applications in the Finder. The folder is also available in the Menu Bar à Go menu. Look for the target software. Start entering “iBoostup” in the search field. It should appear earlier than you finish typing the name. Pick the icon and throw in the Trash. The Trash bin is located in the Dock. The uninstallation procedure will start. One more method to do everything listed above is to click on the corresponding app’s icon and drag it to the Trash using Command and Delete combination/File –> Move to Trash option. Move to the Menu Bar and launch the “Go” menu. Look for the items belonging to iBoostup based on the developer’s name or software’s title. Search carefully in the three given destinations: ~/Library/Preferences/, ~/Library/Application Support/ and ~/Library/Caches/ folders. Did you discover anything connected with iBoostup? Then, right-click on the unnecessary files to Move to Trash further. Do not forget there might be some kernel extensions left by the third-party tool. If it is in place, the only location to scan is /System/Library/Extensions. Get rid of the files with the extension.kext in the end. The Terminal utility might also be used to scan the home folder carefully for any associated components. Once you are done with all recommended processes, Empty Trash. You may right-click on the Trash bin to select that option. There is no way to undo that ‘spell,’ so watch out for the files you still need! Those Mac owners who have an intention to waste less time on various uninstallation processes should definitely try a special third-party uninstalling app. Usually, those rare professional Mac cleaners with the special ability to eliminate any software in full. Even if the target application turns out corrupted or incompatible, it is possible to get rid of it in just 3 simple steps! Download and install a third-party uninstaller for Mac. To finish the installation process, drag the app’s icon to the Application folder. In the Launchpad/Dock, launch the uninstaller of your choice. On the interface, you may notice iBoostup. Run Analysis feature will take you to the next stage. Carefully look through the iBoostup items. Choose Complete/Finish Uninstall depending on the uninstaller you use. Everything left to do is to verify the user’s action by picking “Yes” from the offered dialogue. Overall, it usually takes less than 2 minutes to eliminate iBoostup on your Mac. iBoostup Mac Cleaner: Can It Really Improve Apple Computer Performance? © 2019 Mac Spy Aware Reviews. All rights reserved.